A guide to Camden, London’s hip and trendy neighbourhood that is famous for its markets and nightlife. 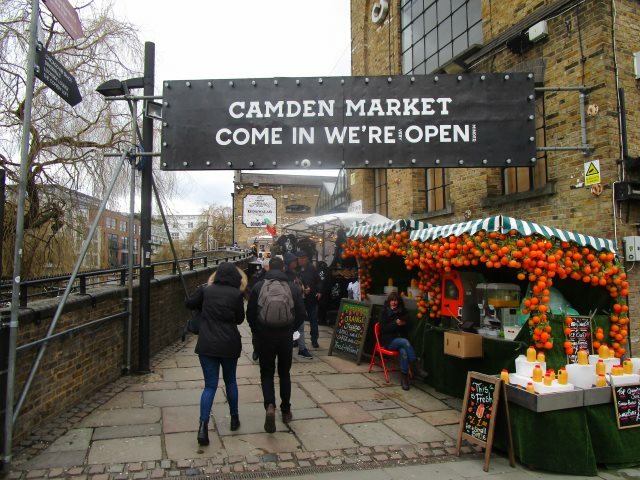 Camden London is a great place to explore during both the daytime and evenings, with loads of shops, market stalls, bars and restaurants to see. 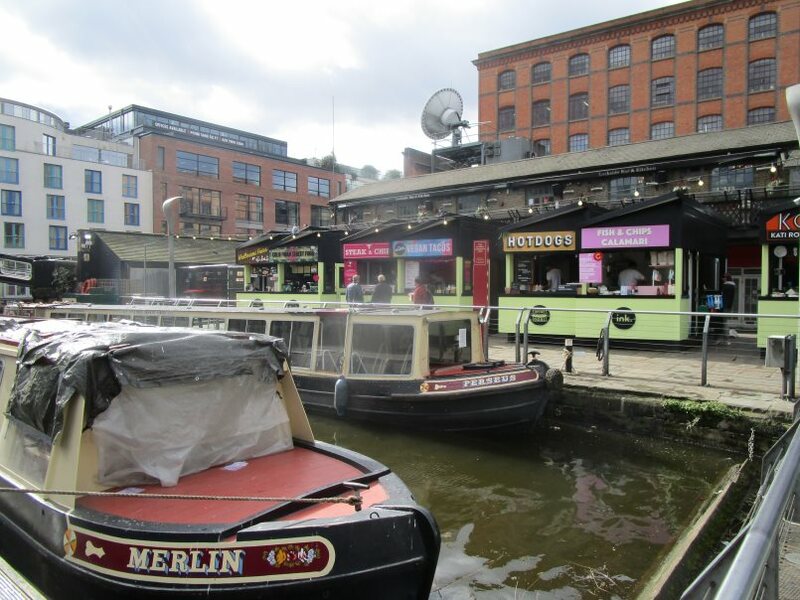 Camden Lock is also a great place during the summer to take a boat trip along the Regents Canal, which goes all the way to Little Venice. Camden Town London Underground Station runs on the Northern Line and is one of the busiest stations in London. This station gets incredibly crowded, especially on the weekend, and from 13:00 on Sundays you can only exit the station, but cannot enter it. There are also loads of buses that go to Camden High Street, and you can plan your journey using the TFL app. Exit the tube station, make a right onto Camden High Street. You’ll immediately see on the opposite side of the road lots of funky decorated buildings, which is typical of the hipster charm of London’s Camden district. You’ll find many second hand stores and cheap shops lining both sides of the road, welcoming you to the cool and weird side of the capital! On your right you’ll see a great big sign that says “The Camden Market”. This is the place to go to find interesting clothing items, many of them second hand stores, and all at very cheap prices. There’s also more clothes shops as well as restaurants and cafes on the other side of the road. As you head further up Camden High Street, you’ll soon cross over the bridge and see the canal on your right hand side. 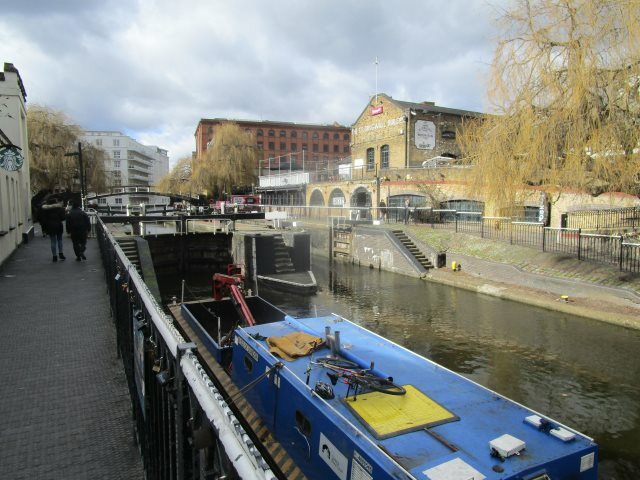 During the summer, you can take a boat cruise along the Regents Canal, which goes all the way to ‘Little Venice’ and then back to Camden. It’s a nice idea to take a boat cruise once you’ve finished all your shopping in the Camden London markets. Camden Lock Market, next to the canal, is the main market in Camden London and is massive. 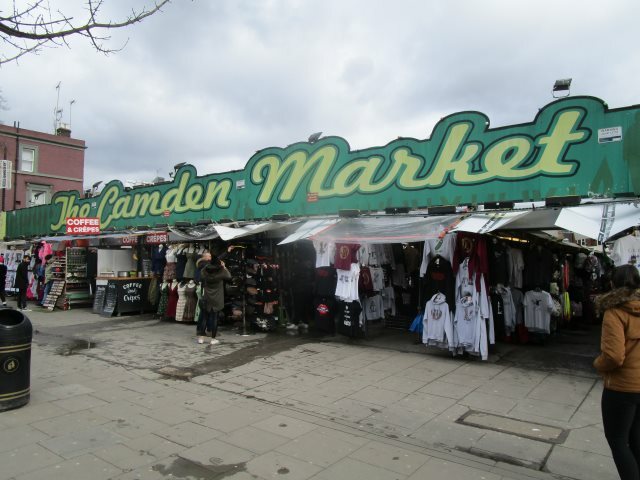 Pass through the Camden Market sign and take a right into the covered market. Here you’ll find lots of boutique shops selling interesting goods. This site has two levels, and there’s a small food court on the ground floor. This is the perfect place to find an eclectic gift! 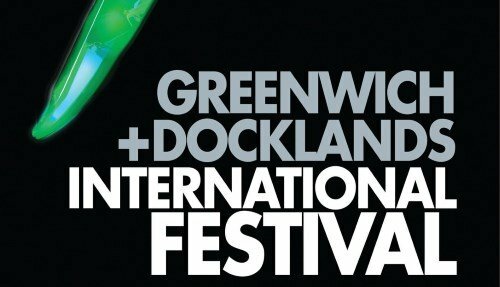 If the weather is good, head outside and you’ll find a whole outdoor food area right by Camden lock- with stalls serving food from all over the world. You name it and its here – from British fish & chips, Belgian waffles and German wurst, to food from Ethiopia, Thailand, Argentina, Peru and more! This is the perfect place in Camden London to have lunch. 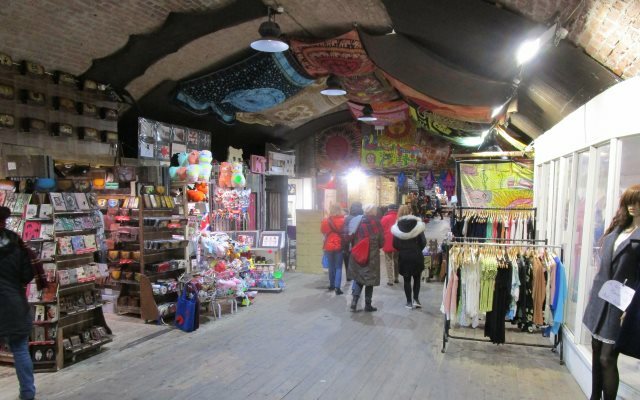 From the canal, enter into Camden London tunnel market, an area filled with lots of gift shops, clothing shops and is where you’ll find anything from imported Cuban cigars to vintage baggage, vintage records, retro shoes, wooden watches and more! You can easily spend an hour exploring this area. 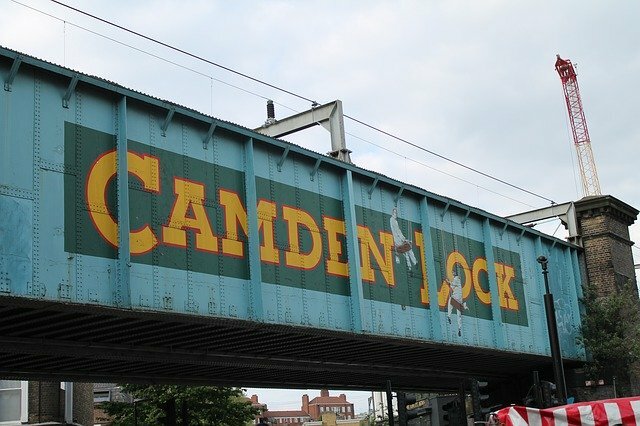 When you leave the market area, turn right and you’ll come across that iconic Camden Lock sign (picture above). There are plenty of pubs in this area if you fancy a drink. 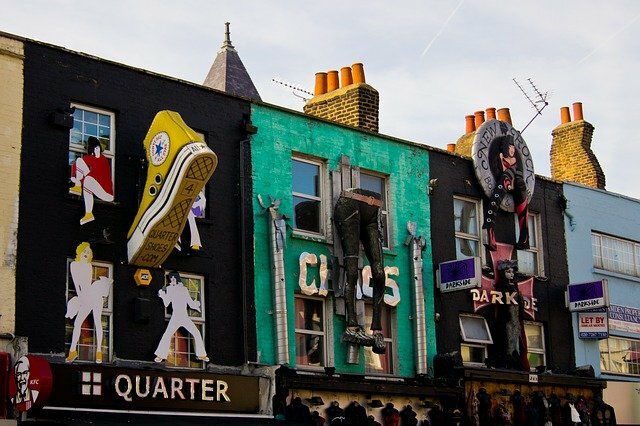 Head back to Camden London in the evening and you’ll see a totally different side of this district. The nightlife really comes alive and you’ll find some of London’s most famous clubs like Electric Ballroom, The Roundhouse & Underworld. If eating and drinking is more your thing, there are loads of bars and restaurants in the area, including some pretty cool places like Gino D’Acampo’s flagship Italian diner and La Patagonia Argentinian steakhouse. 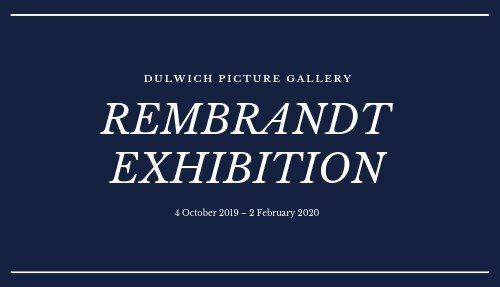 The Jewish Museum London is located in Camden and explores loads of different aspects of Jewish life in the UK, which has a long, vibrant and rich history. 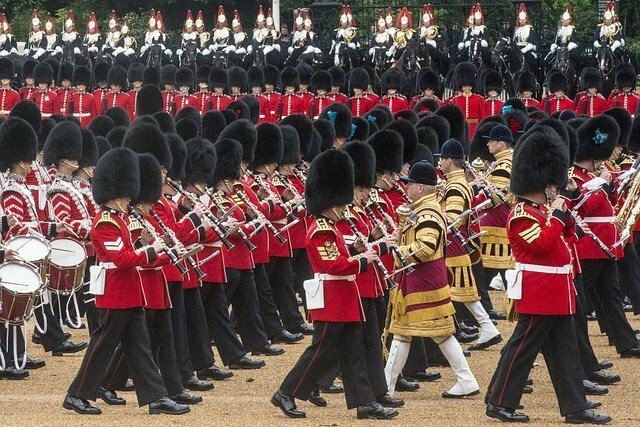 Leicester Square is just a 15 ride on the London underground from Camden Town tube station. From here, you can easily walk to the Soho district, which is another trendy area full of bars, cafes and nightlife. 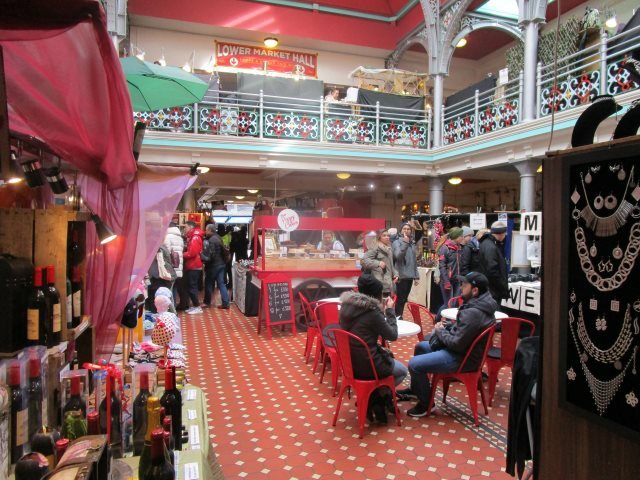 Next to Soho lies Covent Garden, with a famous market selling all kinds of amazing goods. 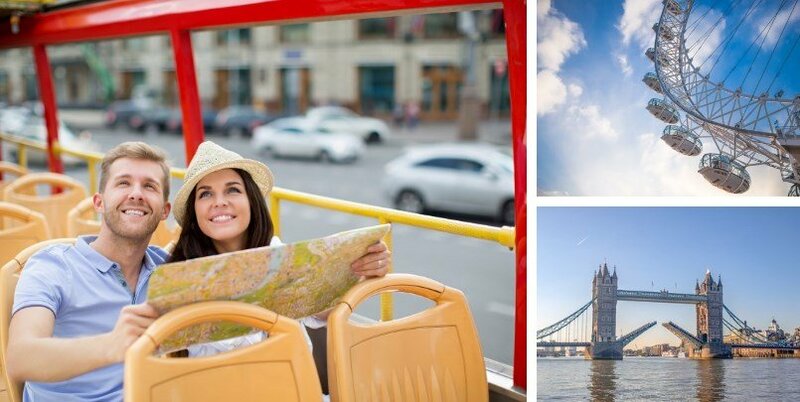 Alternatively, you could take the tube from Camden to Waterloo Underground station, again a 15 minute ride, and explore the Southbank neighbourhood of London. 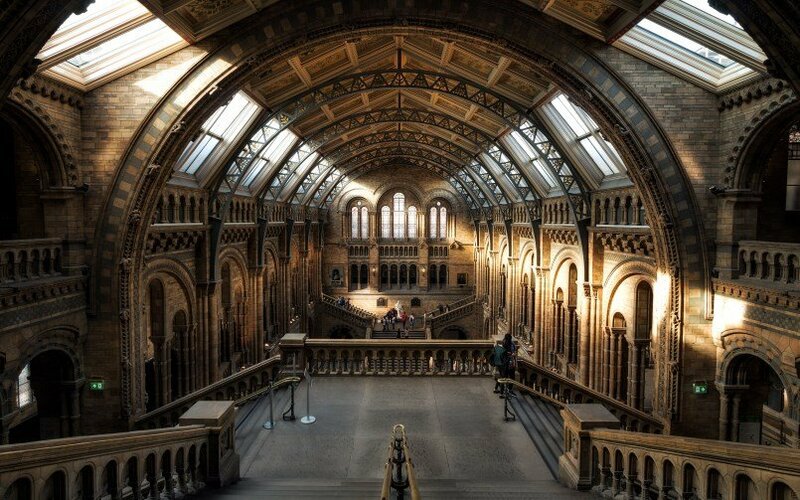 This is a great place to walk on a sunny day, and is where you’ll find Borough Market, Shakespeare’s Globe and the Tate Modern museum.